This is hands-down my favorite longevity recipe. This savory one-pot meal fuses the iconic flavors of Ikaria with the faintest hint of sweet fennel. As is customary in Ikaria, a small amount of olive oil is used to sauté the vegetables, then a generous drizzle finishes the dish. This practice is instinctively brilliant: Heat breaks down the oil, so saving most for a final drizzle assures its rich flavor and maximum health benefits. 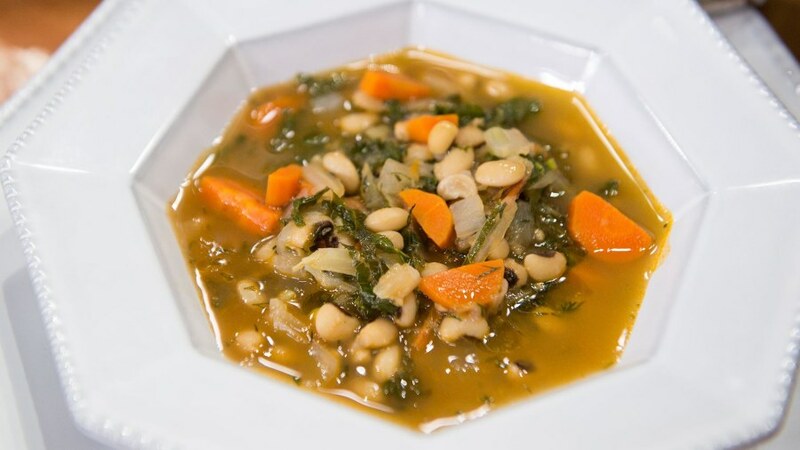 Technique tip: This protein-rich stew freezes well, though the kale will lose a little of its vibrancy. To refresh, add a few more slivered leaves when reheating. 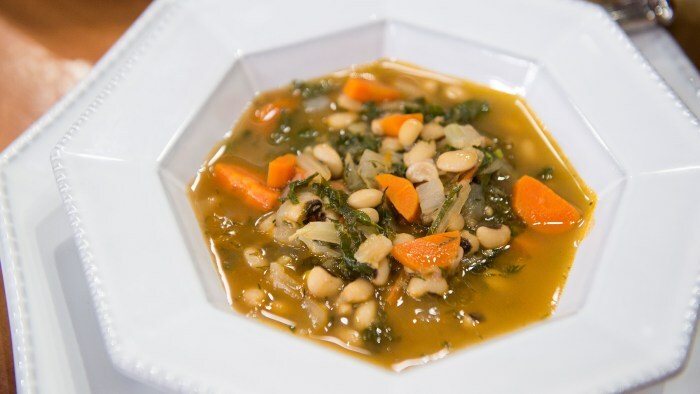 Swap option: For a quicker meal, substitute 4 cups frozen black-eyed peas, thawed, or 4 cups drained and rinsed canned black-eyed peas. Simmer the stew for only 25 minutes to blend the flavors and cook the fennel. 1. Spread the black-eyed peas on a large baking sheet and pick over to remove any damaged peas or debris. Put the peas in a large pot, add enough cool tap water to submerge by 2 inches, and bring to a boil over high heat. Boil for 1 minute. Set aside off the heat and soak for 1 hour. Drain in a colander set in the sink. 2. Warm 1/4 cup of the olive oil in a large pot or Dutch oven set over medium heat. Add the onion and fennel; cook, stirring often, until soft, about 8 minutes. Add the garlic and cook until fragrant, about 20 seconds. Stir in the black-eyed peas, carrots, tomato, tomato paste, bay leaves and salt and stir until the tomato paste dissolves. Add enough water just to cover the vegetables. Raise the heat to medium-high and bring to a boil. 3. Cover, reduce the heat to low, and simmer slowly until the black-eyed peas are tender (not rocklike but not mush), about 50 minutes. 4. Stir in the kale leaves and dill. Cover and cook until the kale is tender, 5-10 minutes. Discard the bay leaves. Ladle into four bowls. Drizzle 1 tablespoon olive oil on top of each helping. Reprinted with permission from The Blue Zones Solution by Dan Buettner, National Geographic. Copyright © 2015.